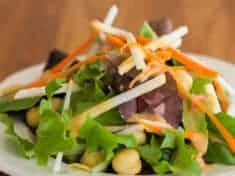 The tangy zest of this salad dressing is perfect for all kinds of salads, from naked greens to summery bean and grain main course salads and every raw veggie combo in between. 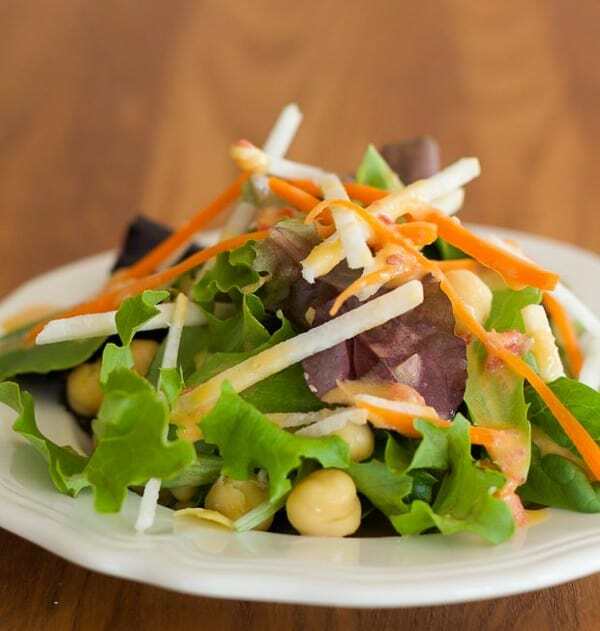 This easy hummus vinaigrette salad dressing adds tasty protein to your salads too! Chickpeas, aka garbanzo beans are the based of traditional hummus. 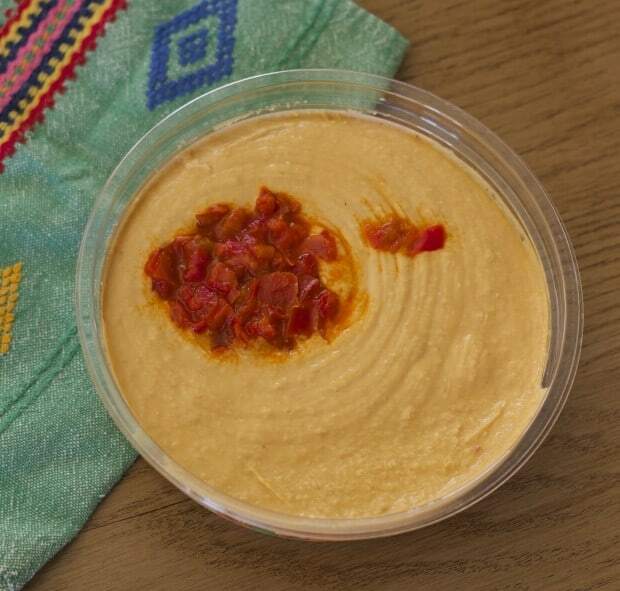 Blended into a smooth puree with spicy garlic, plus fresh lemon juice, sesame tahini, and fruity olive oil–that hummus. It’s a Middle Eastern dip with a funny name. This vinaigrette comes together in a jiffy, using either homemade or store-bought hummus. Try my homemade red lentil hummus which is ideal for easy hummus vinaigrette salad dressing. When I’m not at home, I just use purchased hummus to make this dressing. It’s so easy! 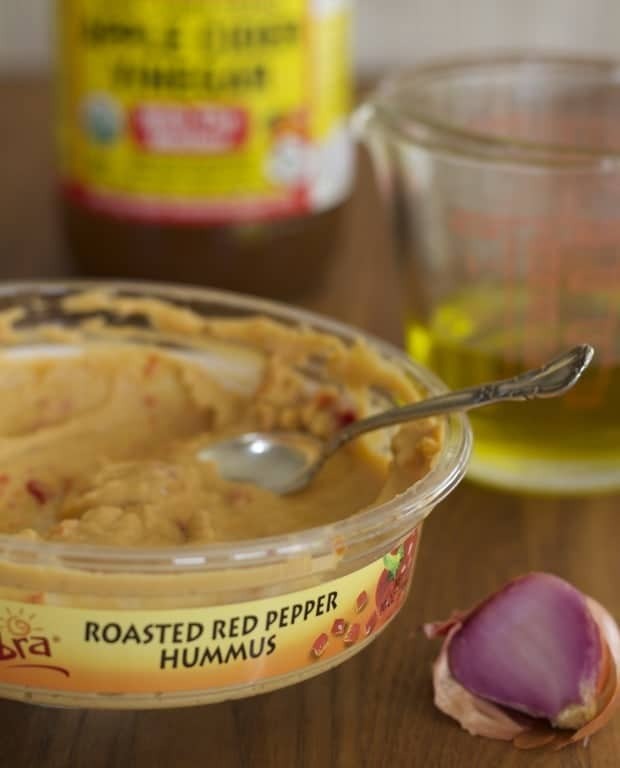 And different flavor hummus dips will give your dressing a unique flavor. Sometimes I make my own hummus from canned chickpeas/garbanzos. 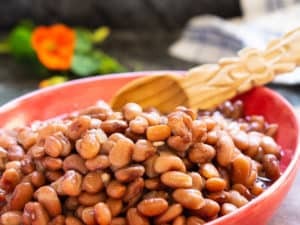 All depends on whether I had from scratch garbanzo beans hanging around, which is often, since I can cook beans quickly in a pressure cooker. 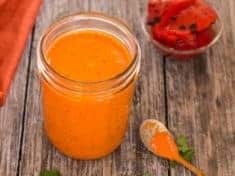 You might also enjoy my Mellow Miso Salad Dressing and my Homemade Roasted Red Pepper Vinaigrette. 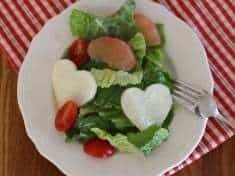 Wishing you a fabulous week–get in the kitchen and whip up a healthy salad and dress it with easy hummus vinaigrette salad dressing! Thanks for reading. 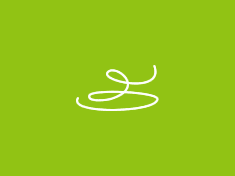 Get the latest recipe posts by email—subscribe here. Subscribers also receive my exclusive monthly newsletters with bonus recipes. If you make this recipe and love it, please consider leaving a blog post comment. 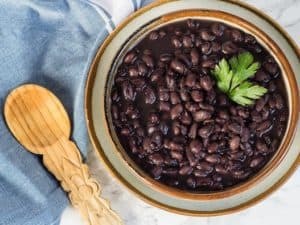 Your comments help other readers learn more about the recipe. 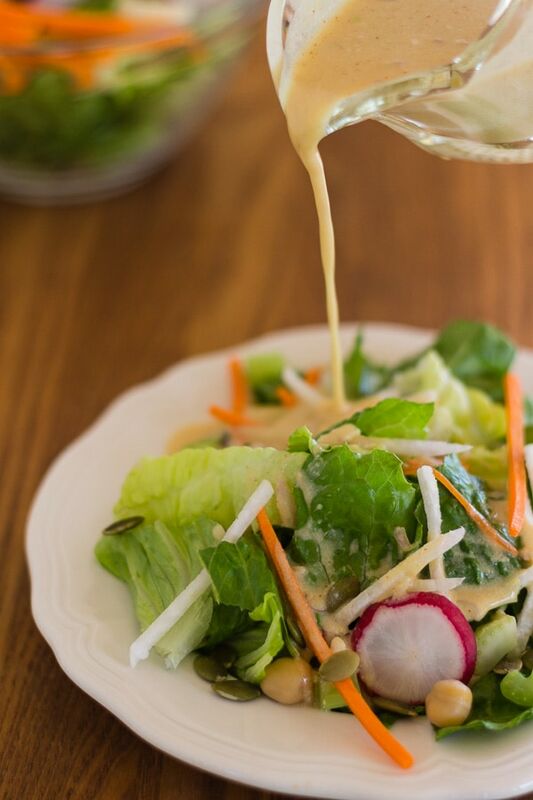 This zesty hummus vinaigrette salad dressing is a snap to make. It's delicious on all kinds of salads, from naked greens to those summery bean and grain salads you take to potlucks. Makes about 1 1/4 cups dressing. Whisk the hummus and water together in a bowl. Add the minced shallot and apple cider vinegar. Slowly drizzle in the olive oil, whisking constantly, until all of the oil is mixed in. Whisk in the maple syrup, paprika, salt, and cayenne pepper. I used roasted red pepper hummus to make this recipe, which lent the dressing an inviting rosy color. When I make this dressing with classic hummus, I whisk in the paprika. If you don’t have shallots, substitute a minced clove of garlic.